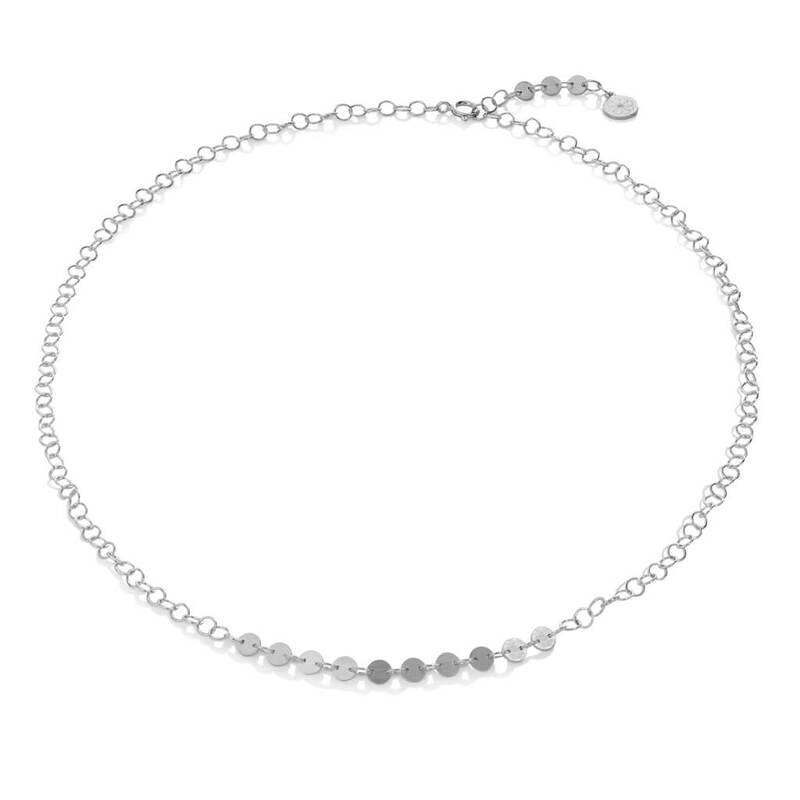 A light and delicate necklace from our ii collection. 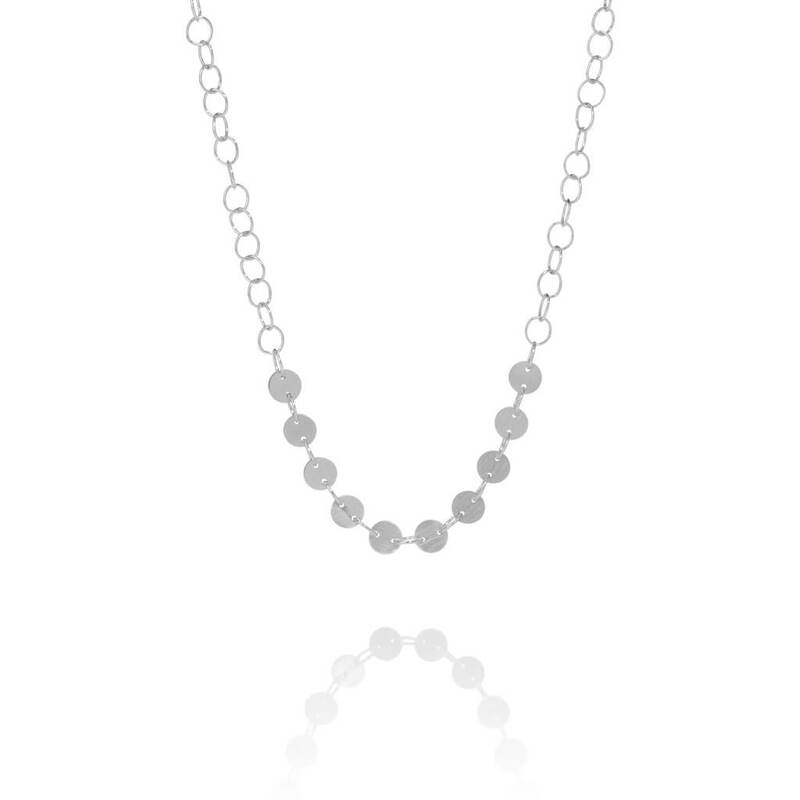 This light and delicate sterling silver necklace is the signature piece of our ii collection. Our Icelandic designers traveled through India and brought home inspiration. This unique design mixes Southeast Asian and Scandinavian aesthetics. We think you will love the strong lines and soft circles, no matter where you live. The simplicity of the design gives an air of sophistication, yet it is still very stylish when you meet friends for coffee on a Saturday morning. 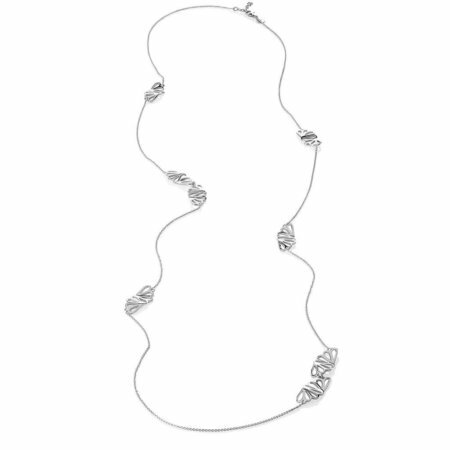 Light to wear, this versatile necklace goes with almost any look and will become a staple to highlight your wardrobe. You can fasten the clasp in any link of the chain. 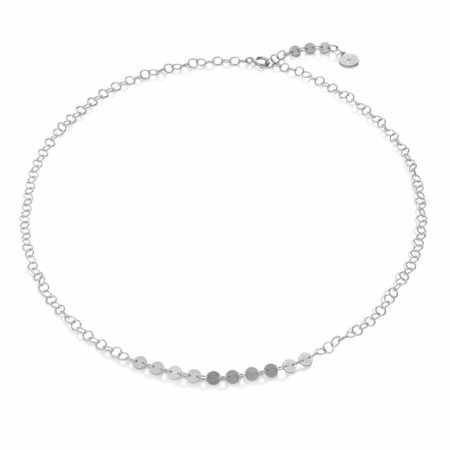 So you have freedom to choose the length of the necklace by up to 20 millimetres. 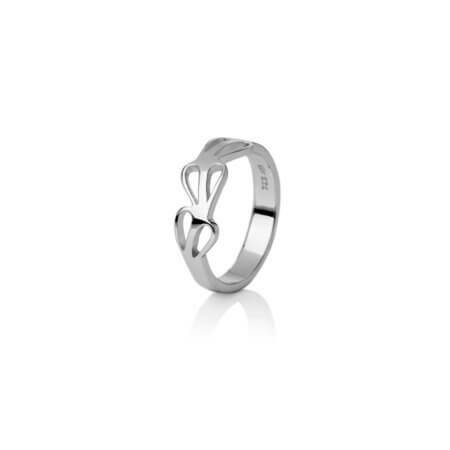 It suits women of all ages, and will brighten almost any outfit. 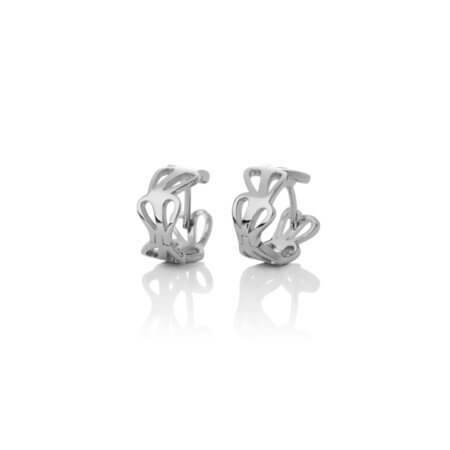 We like it best with its matching earrings and bracelet. You can wear two or more necklaces together and change the length to create a look of your own. 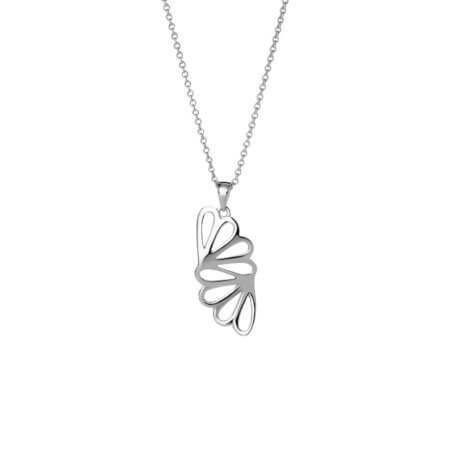 The necklace is made from Rhodium plated sterling silver.